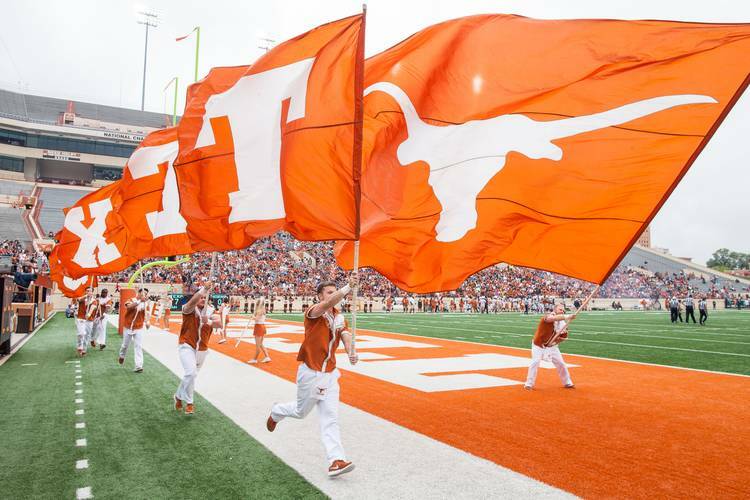 The Texas football program dates back to 1893. Each day, we look at a little piece of Longhorn history. We’re starting by looking at each Longhorn football season. Following the 9-3 year in 1982, Texas landed at No. 3 in the 1983 preseason poll and never dropped outside of the top three during the season. The 1983 season is one of the best years in Texas football history. Texas won 11 straight games, winning the Southwest Conference title and was invited to the Cotton Bowl to play No. 7 Georgia. Texas beat four ranked teams, three of whom where in the top 10. Texas opened the season with a 20-7 win over Auburn, with Bo Jackson, on the road, a loss that would haunt the Tigers later. Texas capped off its regular season with a 45-13 win over Texas A&M in College Station. Taking over at quarterback for the Longhorns following the graduation of Robert Brewer was Todd Dodge. But Dodge got hurt and gave way to back-up Rob Moerschell. He split time with senior and former starter Rick McIvor. The leading rusher for the Longhorns was Ronnie Robinson, who gained 479 yards, while Brent Duhon added 13 catches for 344 yards and five touchdowns. Defensively, Jerry Gray was the star. He led the Longhorns in tackles with 116, he also had four interceptions. Gray joined fellow defensive back Mossy Cade as one of seven All-Americans on Texas in 1983. Texas entered the Cotton Bowl 11-0, ranked No. 2 in the nation behind Nebraska, who never moved from the No. 1 ranking during the season. Texas’ task was beating Georgia, who was led by quarterback John Lastinger. The Bulldogs were 9-1-1 and finished season in the Southeastern Conference. The 1984 Cotton Bowl Classic could be the greatest gut-wrenching loss in Texas football history– which is saying quite a bit, but is probably true. Miami, ranked No. 5 in the nation, pulled off one of the biggest upsets in college football history when the team beat Nebraska and Heisman Trophy winner Mike Rozier 31-30 in the Orange Bowl. Now, Texas didn’t know this when the Cotton Bowl kicked off. That game was a 12:30 p.m., central time, kick. The Orange Bowl was a 8 p.m. eastern time kick. So Texas had already loss by the time Nebraska and Miami began. Texas took a 9-3 lead into the fourth quarter. But late the fourth quarter, Texas’ Craig Curry muffed a punt that helped set up a 17-yard Lastinger touchdown run. Less than four minutes later, Texas lost its first game of the season 10-9. The loss, combined with No. 4 Illinois losing the Rose Bowl 45-9 to UCLA and Auburn, who had lost to Texas earlier in the season, beating a lower-than-Miami-ranked Michigan squad in the Sugar Bowl, helped Miami clinch is first national title during a decade they would own. That muffed punt cost Fred Akers and Texas a national title, and Akers went 20-14-1 over the next three seasons, including a 5-6 season in 1986 that would be his last at Texas. In January of 2010, Mack Brown’s squad suffered a similarly gut-wrenching loss in a title game, but Texas was never as close to winning that game against Alabama as they were the 1984 Cotton Bowl. Still some, believe that 2010 loss was worse. I just finished writing about the 1984 Cotton Bowl. Texas football fans, here's a poll: What's a worse UT moment?